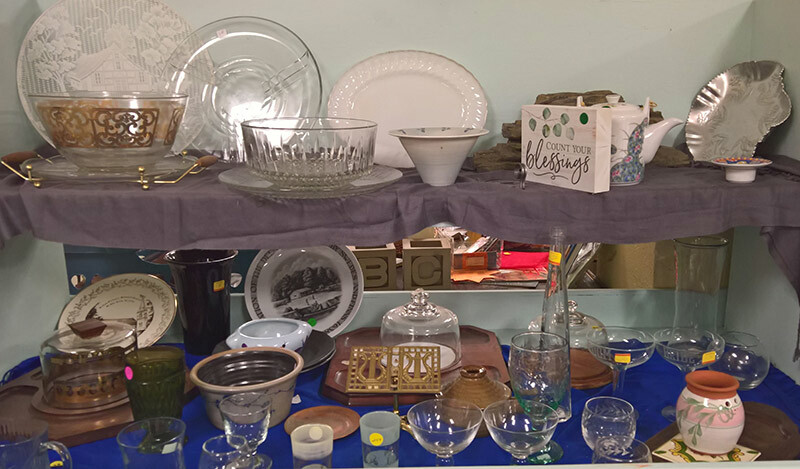 Features clothing, household items, curtains, linens, books, records, toys, jewelry, glassware, dish sets, craft supplies, fabric, and MUCH MORE! You never know what you’re going to find! Most items under $5!!! Christmas items are available November and December. All sales are from 10:00 a.m. to 1:00 p.m. Please use the Madison Avenue entrance. If the sale is cancelled for any reason, it will be announced on WEEU/830AM. All proceeds go to various missions. Volunteers are needed to sort and price items on Wednesday mornings from 9-12. We are always happy to receive donations of clothing, linens, housewares and decorative items. However, be mindful that we cannot sell items that are stained, torn, broken or show excessive wear. Please no books at this time.